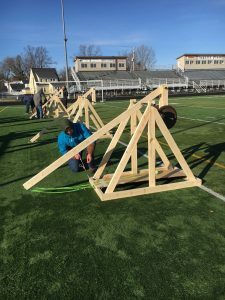 In the Hard Day’s Knight seminar students have been focusing on a very important time period of history. They looked at the political, economic, social, and intellectual history of the Middle Ages. The importance doesn’t only lie in the events that took place, but the machinery and science that allowed those events to come to an end. 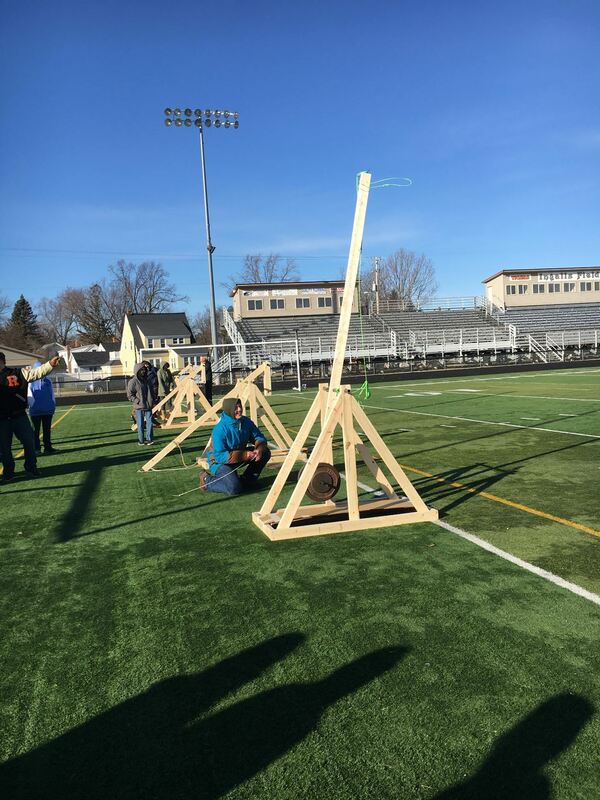 The final project for this seminar was to build a successful scale model of a trebuchet. 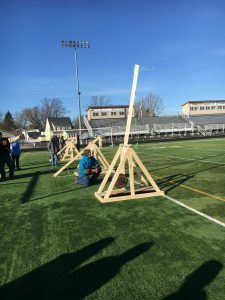 The most successful trebuchet threw the ball 85 yards. 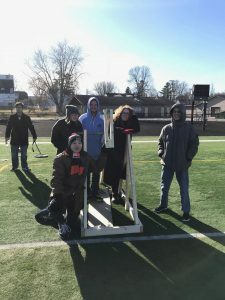 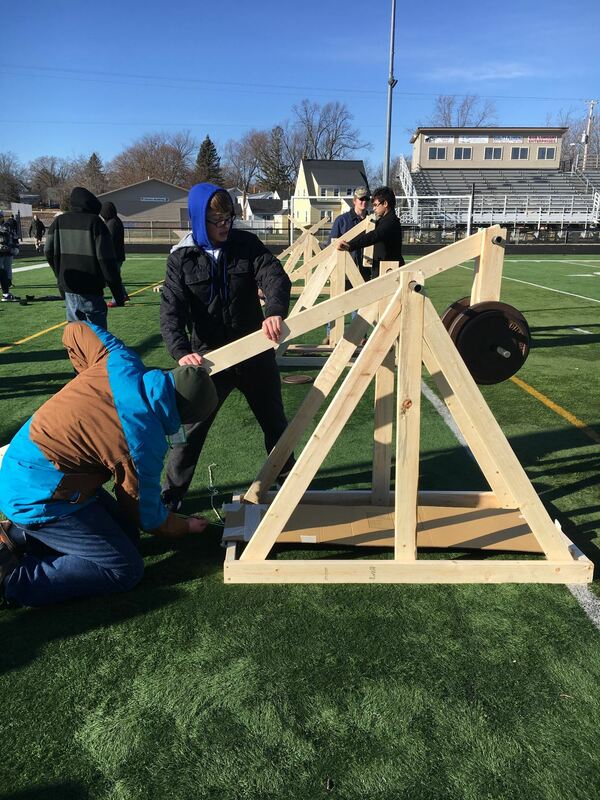 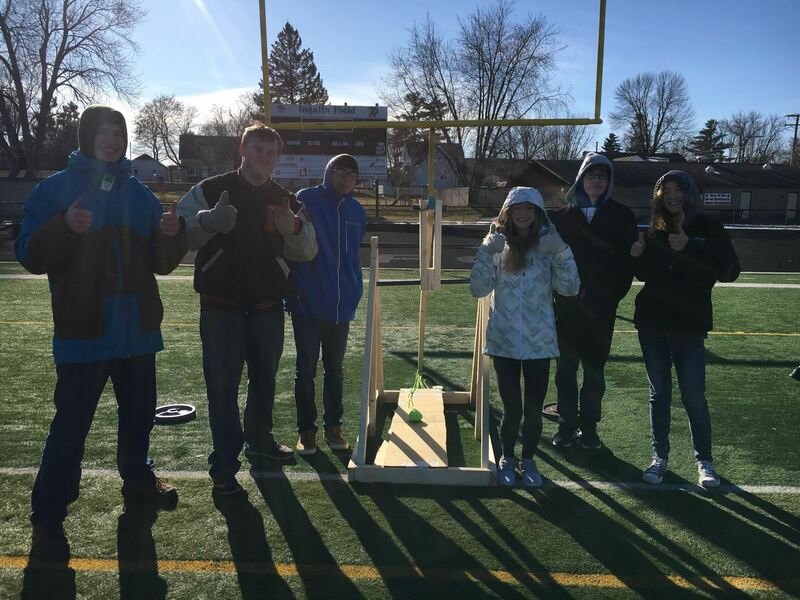 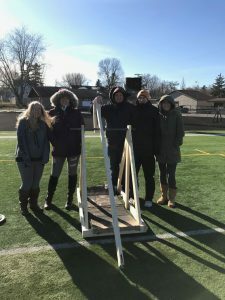 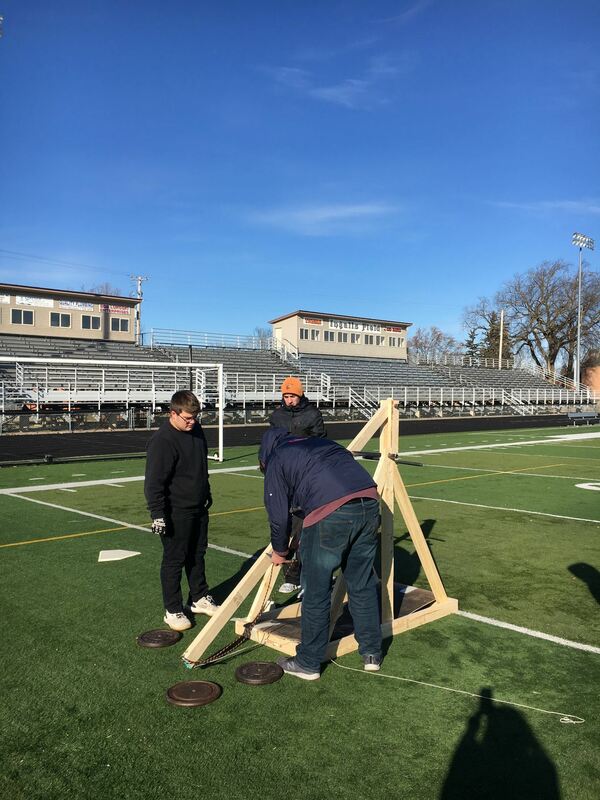 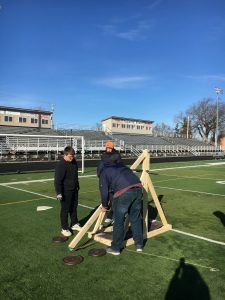 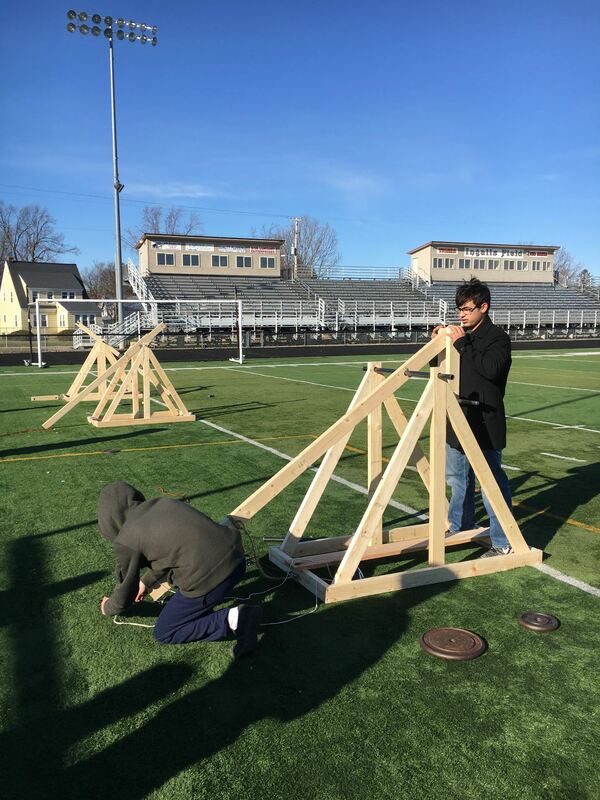 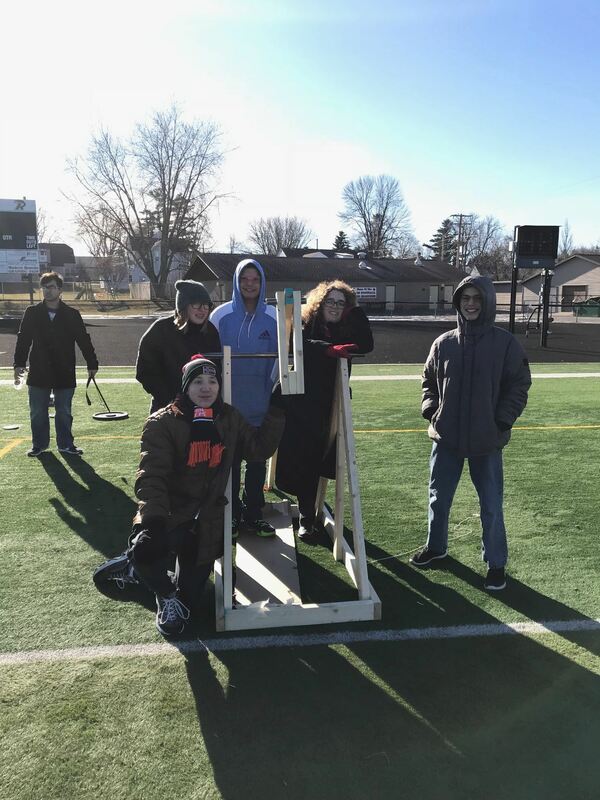 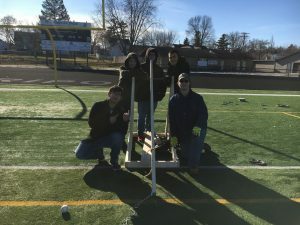 Here are pictures and video of the fun students had launching their trebuchets.